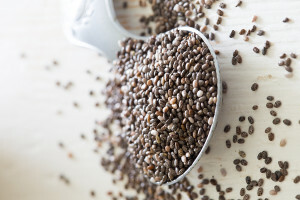 Recently I gave a talk on Super Foods, and one of the items high on my list was chia seeds. While I’ve been enjoying these tiny powerhouses for quite some time, I realized that there are still so many of my clients who are unfamiliar with these little gems. 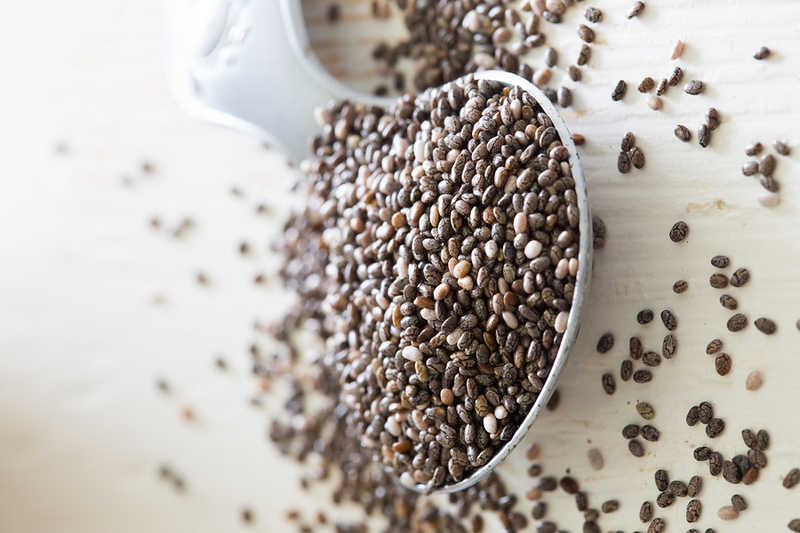 Chia seeds are native to South America and have been a staple in the Mayan and Aztec cultures for centuries. While they are a rich source of Omega fatty acids (3, 6 & 9) and contain 3x more calcium than a glass of skim milk, I love them because they are a secret weapon in weight loss. This super food has the perfect combination of protein, fiber and gelling action. The seeds can absorb up to 12x their own weight, and expand to make you feel satiated. They have also been shown to reduce sugar cravings, and are high in fiber, with 10 grams per 2 tablespoons! While you can enjoy them in smoothies, salads and yogurt; I love them as a delicious and filling pudding. This “weight loss” pudding is a great way to start the day, or a satisfying treat when you want a little something sweet. Check out my newest video where I show you just how easy it is to whip up this amazing dessert. You can also get the recipe below. Enjoy! Place all ingredients in a bowl and stir well. Cover the bowl and refrigerate for 1 hour, pull out and stir. Return to refrigerator and let pudding sit for another 4 hours or overnight. Tried this yesterday, didn’t quite work. Although it did thicken overnight, it didn’t get to pudding consistency. Still quite loose. I measured exactly so not sure what happened. Wonder if different almond milk reacts differently? I made this overnight last night. There is only one thing wrong with this recipe…it tasted so yummy I ended up eating it all over the course of the day and had to make another batch for tomorrow! I already had the raw cacao just waiting for a use! It is a loose pudding, agreed.